I really felt like I was looking into the future today. Eliot, my friend Steve Greenberg, and I, took a ride on one of this country’s most high tech, and innovative train lines. Called the Brightline, the train service is a high-speed rail system from Miami to West Palm Beach. The Brightline train stations, and the trains themselves, are so elaborate you feel like you are in the first class section of a luxurious airline. We had powerful, free Wi-Fi in the train stations and on board. The Internet was one of the best ever. They also had wireless printers for passenger use. We also got to relax in the Brightline lounge which featured complimentary, delicious treats and beverages. Brightline staff offered us a variety of snacks and drinks onboard as well. That was after we received personal wash cloths to refresh up. You can book your Brightline travel on their app, website or ground-level kiosks. Smart turnstiles read barcode tickets or BrightIDs. They are used as security systems that allow passengers to move from one Brightline section to another. They even reschedule passengers to earlier trains if seats are available. We took the Brightline to Palm Beach today because our actor friend, Harry Redlich, was appearing in “Barefoot in the Park” at the Lake Worth Playhouse. Instead of making the 90 minute drive in our Jeep, we wanted to experience what it would be like to ride in the train of the future. We were delighted when we arrived in West Palm in a little over an hour. Richard Branson of the Virgin Group is becoming an active partner in helping the Brightline expand to Orlando. In the coming weeks, Brightline is going to be renamed Virgin Trains USA. Let’s hope Branson will upgrade, cleanup, and employ state-of-the-art technology in every train system he gets involved in. We heard he is now more interested in trains than airlines. This could be the start of more Americans returning to train travel. I first saw this slide show months ago. I couldn’t decide if it was a joke, or it was for real. When I did some research, I learned that Richard Branson was on a mission to save animals. I became fascinated. I always thought killing other living things, so we can eat, was a little weird. I accepted that was the only way we could survive. Then I read that Branson believed there was an alternative. There are many stories about Branson’s determination. You can read one particular story in Forbes. Click here. This is going to be very interesting to watch. 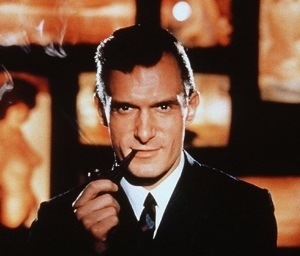 Hugh Hefner in the 1970s. I will never forget the day I first saw Hugh Hefner’s private office. We were doing work for PIayboy Video and we visited their Chicago headquarters for a meeting. We were on a break so I decided to scout out Hef’s desk. The door to his office was opened but I was afraid to walk in. Standing at the entrance was enough for me to imagine the shenanigans that went on in there. I was thrilled, however, to be breathing the same air as that publishing genius. It is always fun to see where creativity takes place. Thanks to Mashable and LinkedIn, here are the offices of other entrepreneurs.